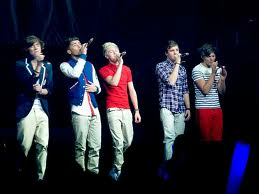 One Direction photo by Wikipedia. For all those One Direction fans out there, this height post goes for you. Also for those who just simply want to know the height of the One Direction guys. We've already posted individual posts about the height of One Direction members so check out the links below. Niall stands 173 cm tall. He is 5'8" in feet and inches. Click on the link below to know more about Niall Horan's height. Harry Styles stands 178 cm. Harry is 5'10" in feet and inches. 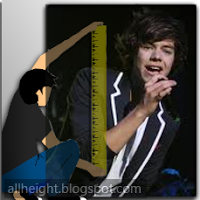 Check out the link below to read more about Harry's height. 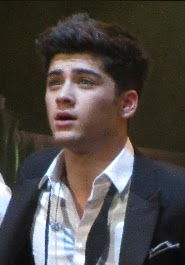 Zayn Malik is 175 cm tall and 5'9" in feet and inches. Read more about Zayn's height by clicking the link. 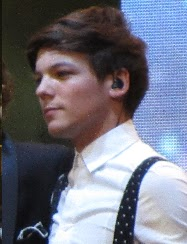 Louis is 5' 9" tall in feet and inches and 175 in cm. Liam Payne stands 176 cm. He is 5'9" in feet and inches. 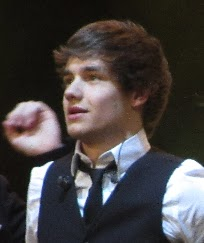 Read more about Liam's height through the link. These listing are based on our previous posts, which are based on photo estimates and height articles around the web. Credits to Wikipedia for the photos. Why does no one get the actual height out of the boys? Guessing from pictures? Um no. And there is no way that Zayne is as tall as Liam and Louis is as tall as Zayne. It is very possible that Zayne and Liam are of the same height. Liam wear boots almost all the time and he would look taller than Zayne, but when he doesn't wear boots he is as tall as Zayne. This is what celebs do, they wear shoes with thick soles to be taller. No, these height listings are very close to the real height if One Direction members. They are not tall, Harry is the tallest at an average height of 5'10". Don't you notice they always wear boots. I met them at iHeartRadio festival over the weekend for the first time. I was surprised how short they were. I am 5'8".Niall and Zayn were both at least an inch shorter than me and wearing boots. Zayn looked slightly shorter than Niall, but he was also very slim. Liam was my height, and again, wearing boots. Harry was the tallest. 5'10" sounds about right. Louis was a bit shorter than Harry. Wow, this is some really informative comment. When was this meeting? I knew they were short guys and just wear boots to atleast look taller. I'm so short compared to the boys! Haha! It's okay, im their age but taller than all of them haha, and im a girl too!